Delancey Street Associates has launched leasing for 350,000 square feet of office space in Essex Crossing. 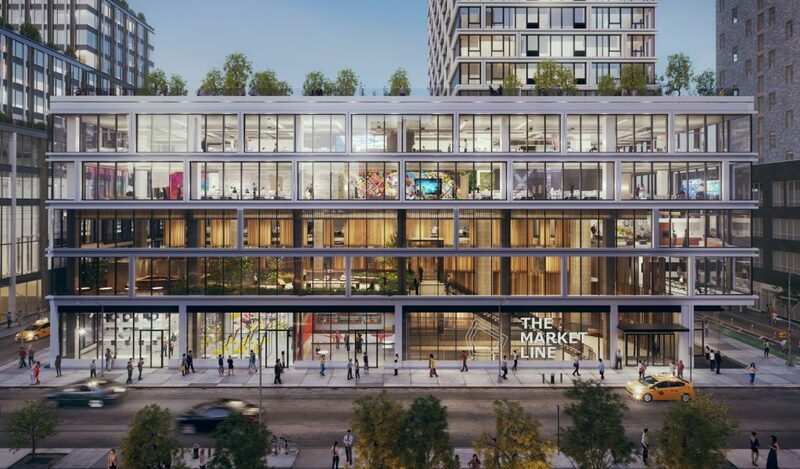 This will be the first significant block of Class-A office space to come to Manhattan’s Lower East Side, and the developers hope the quasi-historic surrounds and combination of new and existing retail will be enough to lure tenants. 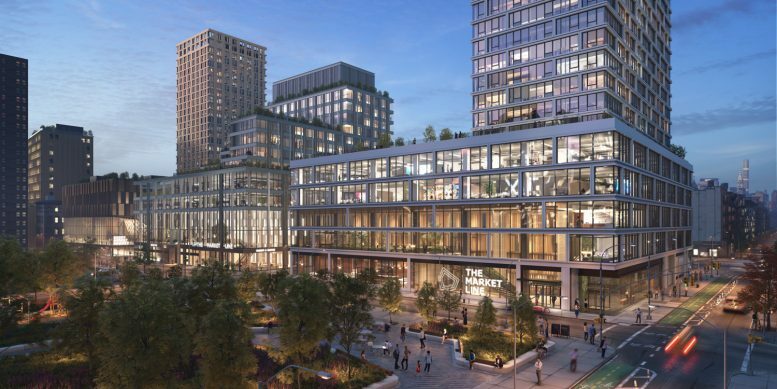 Other incentives included indoor and outdoor recreation space, a new public park connected with the development, as well the Market Line, and Essex Street Market downstairs. The Market Line will be a 700-foot-long, three-block marketplace. The workforce will be nestled within two mixed-use building, both of which include apartments and ground-floor retail. ‘Office East,’ located in site four, will yield 175,000 square feet, as will ‘Office West,’ located in site three. 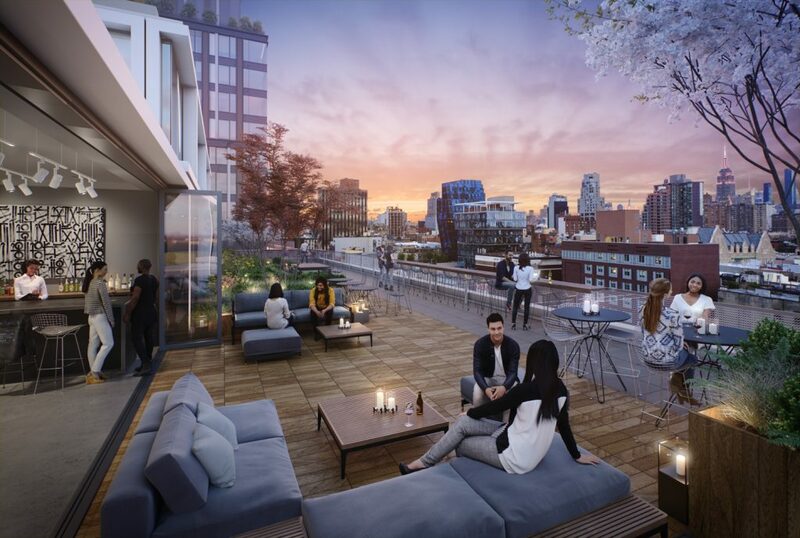 There will be floor-to-ceiling windows with views of the Lower Manhattan and Midtown skyline, as well as bike rooms with showers, outdoor terraces, lobbies, and a triple-height atrium. The site intends to function as an interconnected campus, starting with the half-acre public park designed by West 8. The park is expected to open next year, and will soon be joined by a bowling alley, a Target, and Trader Joe’s. The International Center of Photography (ICP) is also opening facilities within Essex Crossing’s 242 Broome Street, expected to deliver in 2019. The institution will move into nearly 40,000 square feet of space, reuniting the ICP Museum and ICP School under one roof for the first time in twenty years. Cushman & Wakefield will work as the sole broker for the office space. They are expected to finish leasing by 2020. 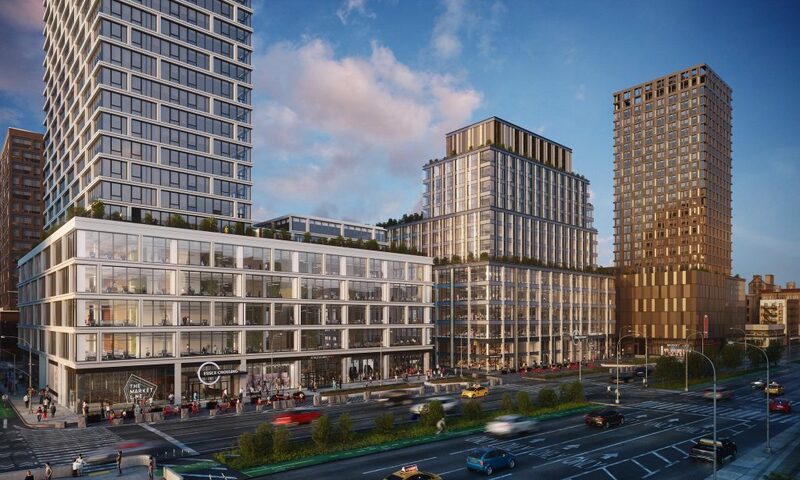 Essex Crossing is being developed by the Delancey Street Associates, which is comprised of Taconic Investment Partners, BFC Partners, and L+M Development Partners. 2 Comments on "Leasing Begins for Essex Crossing’s Commercial Space, Lower East Side"
If you close your eyes you will not see progress.